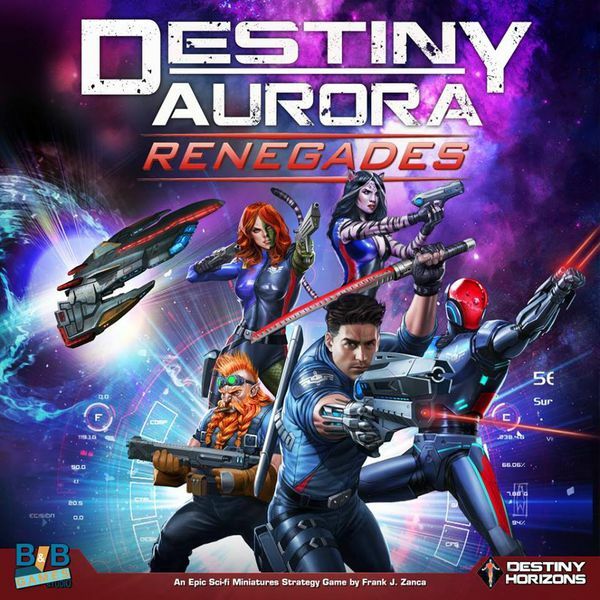 Destiny Aurora: Renegades is a fast-paced, sci-fi adventure game that takes place both on the planet's surface and in orbit as the Renegades try to complete missions while attempting to be thwarted by the Coalition agents. Campaign-based miniatures game. Choose a ship, choose a crew, and choose a side.